and cook till 3 whistles. vessel and add the mustard seeds, chana dal, urad dal and peanuts. curry leaves and hing and fry for a minute. powder, cooked millet and salt and mix well. add the lemon juice to it and mix very well. Serve immediately. This is soo beautiful.. 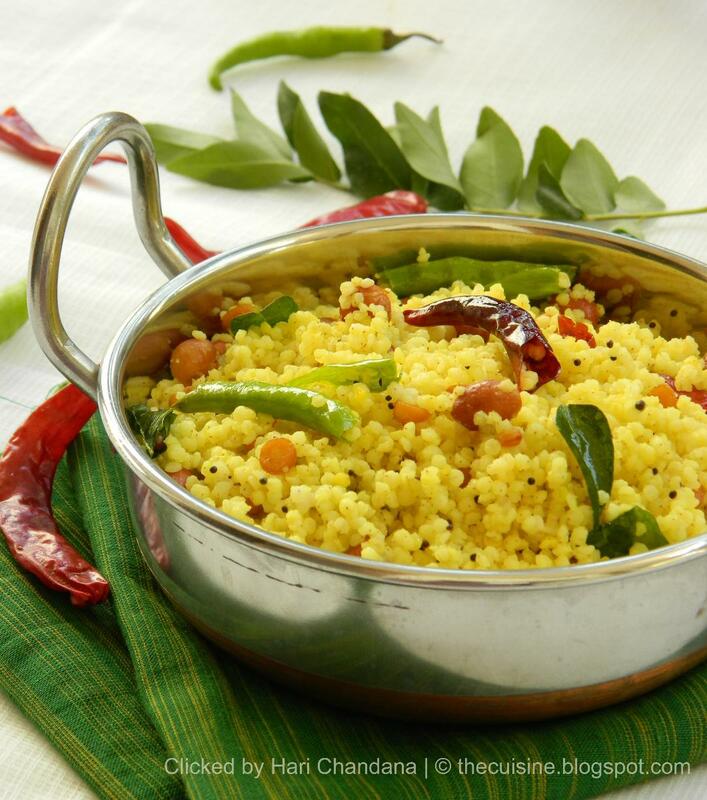 The lemon rice is coming live from the screen ..
Gorgeous picture and delicious chitrannam! very interesting and looks wonderful !! Bale undhi chandana.Nenu payasam chestaanu but pulihora eppudu cheyya ledhu.Will try. Wow! 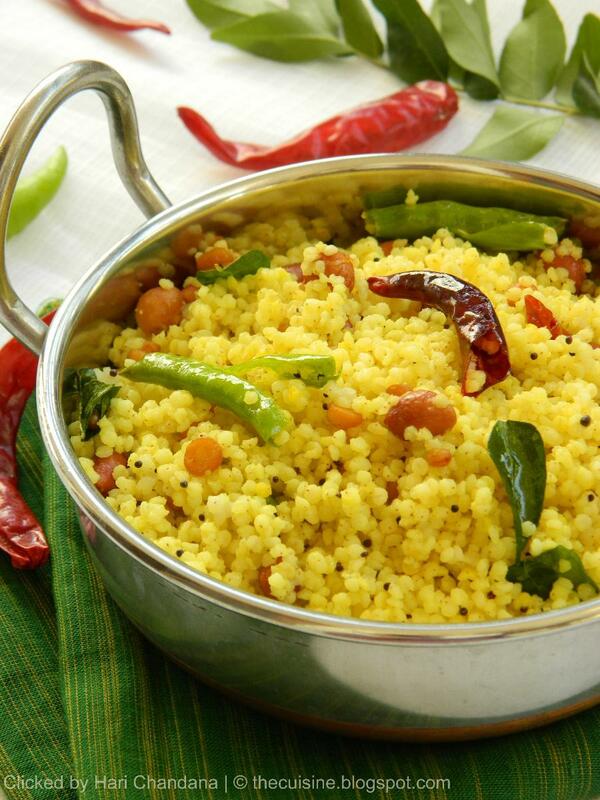 Lemon bhath with millet sounds healthy and yummy. Never thought of this one. Sure gonna try. What a preety click , i'm drooling looking at ur lemon millet preparation. I saw Lemon millet post in my dashboard and I could not control myself to view full post. Looks Delicious! Wat a flavourful & healthy dish,loving it..